Just wondering if you can add the Whatsapp and FB messenger option to your latest version. Would you please tell us more details of your feedback? We'll have an internal discussion about it. By the way, we would like to know why you are in pursuit of this feature and when/where you will use it? Can my other device see my messages and stuff the way i can see it's details??? 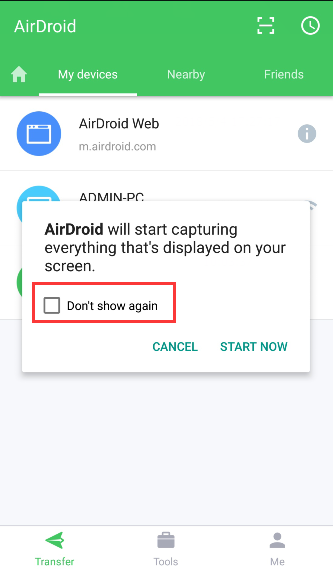 There is no option on oppo F7 , for screenshot access permission " Dont asked again " checkbox ? ?